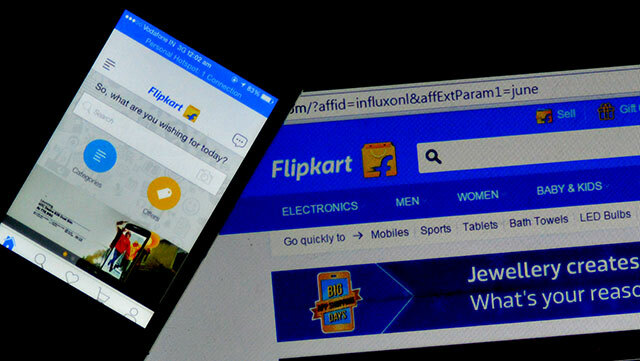 Flipkart, the country's largest e-tailer, has launched a universal app for the new Windows 10 platform that Microsoft is rolling out to users across the world. The app was in its beta testing phase over the past two months at the Independent Software Vendor Programs at Microsoft, and went live on Thursday on the Windows app store. Here are a few interesting features of the app. Flipkart has made the Windows 10 version of its app available to all the devices compatible with the Windows ecosystem, which means the app has desktop, tablet and mobile versions. All three versions will have features according to the platform on which it is used. So, some features that are available on the desktop version will not be available on the mobile version and vice versa. "Over the last few months, we have been working on the Windows 10 platform to create a more personalised experience for our consumers," said Amar Nagaram, director of mobile engineering at Flipkart. The desktop version of the app will have a feature called product tabs, which Flipkart says will ease the shopping experience. Put simply, users will no longer have to open multiple tabs on the desktop browser. Instead, consumers can open tabs in the background to view products later as well as compare different products for faster browsing. With Windows 10, all app-only offers and in-app notifications will now be available to desktop users as well and all purchases executed through the desktop will be eligible for the same discounts and offers. Flipkart offers most of its discounts primarily on its mobile platform during its sales offerings. "Apart from the added convenience and enhanced experience, desktop consumers will also get access to app-only offers and in-app notifications that will keep them updated on the latest deals and discounts," said Harish Vaidyanathan, director of independent software vendor programs at Microsoft. Launched in October 2007, Flipkart is India's largest e-commerce marketplace. It said in September that it was valued at $15.2 billion. With a registered customer base of 50 million, Flipkart offers almost 30 million products in about 70 categories. Flipkart claims to receive 10 million daily visits and delivers 8 million shipments a month.